Torino scored and then conceded in injury time to conclude an error-ridden but highly entertaining 3-3 draw with Genoa on Wednesday night. With Saturday's derby against Juventus in mind, Giampiero Ventura chose to rest Bruno Peres, Daniele Baselli and Fabio Quagliarella - with Andrea Belotti partnering Maxi Lopez up front. Genoa took the lead mid-way through the first half when Daniele Padelli misjudged a punched clearance from a deflected cross and that allowed Diego Laxalt to head in. Toro were back level two minutes later when Ezequiel Munoz failed to deal with a long ball, and fellow Argentine Maxi Lopez nipped in to finish past Mattia Perin. The Granata took the lead ten minutes before half time with an exquisite goal from Davide Zappacosta as the former Atalanta man volleyed home from outside the area following a corner. Genoa equalised with twenty minutes remaining when Leonardo Pavoletti received a through ball from substitute Serge Gakpe and finished well to beat Padelli. Daniele Baselli and Bruno Peres both came off the bench as Toro looked for a winner, and they thought they had one in the 89th minute and once again it arrived in comical fashion. Marco Benassi's header was initially saved by Mattia Perin, but then ricocheted off the knee of former Torino midfielder Panagiotis Tachtsidis before trickling over the line. However, there was more drama still to come and in the fourth minute of injury time, Genoa scored their equaliser as Diego Perotti's cross was headed home by Laxalt for his second of the game. 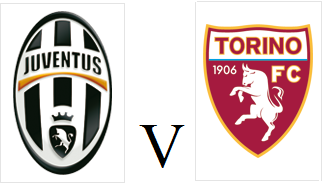 Torino will look to earn their first victory in three games when they face Genoa on Wednesday evening. With the derby against Juventus coming up on Saturday, Giampiero Ventura may decide to rest a few players, and that could mean fringe players Sanjin Prcic and Josef Martinez may come into the side. Genoa have struggled on the road this season, losing four of their five fixtures away from the Stadio Luigi Ferraris, including a 2-0 defeat against Empoli last time out. However back in May, in the last meeting between the two sides it was Genoa who came out convincing 5-1 winners. 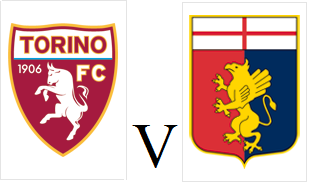 Torino's disappointing away form continued on Sunday evening as they fell to a 3-0 defeat against in form Lazio. Andrea Belotti was rewarded for his impressive substitute appearance against AC Milan with a start, whilst Giuseppe Vives was preferred to Alessandro Gazzi in midfield and Bruno Peres returned from injury. Toro started well and it was Bruno Peres who had their best chance of the half but his half-volley was tipped over the bar by former Toro keeper Federico Marchetti. However, five minutes before half time Toro fell behind when some suspect defending allowed Miroslav Klose to win a header, and the ball fell to Senad Lulic whose scuffed finish somehow beat Daniele Padelli. Lazio doubled their lead with twenty minutes remaining, and the goal was simplicity at it's best. A long kick from Marchetti was headed on and Klose fed a through ball to Felipe Anderson who calmly finished past Padelli. In injury time, Felipe Anderson added a third goal from just outside the area which was harsh on Toro - but sealed a third successive away defeat for the Granata. 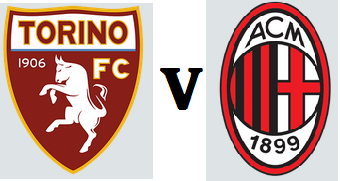 Torino will look to maintain their 100% home record when they host AC Milan on Saturday evening. The Granata suffered a disappointing defeat against Carpi before the international break, but will have Cristian Molinaro back from suspension, and Daniele Baselli back from injury as they look to bounce back. AC Milan have problems of their own and suffered a humiliating 4-0 home defeat against Napoli last time out. Mario Balotelli will be unavailable for the Rossoneri, and that could mean that former Toro player Alessio Cerci will feature. It has been fourteen years since Toro last beat Milan, a solitary Cristiano Lucarelli goal enough to earn the Granata all three points. Torino wasted the chance to go top of Serie A for the first time since 1977 after a disappointing 2-1 defeat at Carpi on Saturday evening. With Daniele Baselli and Cristian Molinaro unavailable, The Granata had to make changes with Alessandro Gazzi and Gaston Silva coming into the team. Ryder Matos had a great opportunity to give the home side the lead, but he headed straight at Daniele Padelli in the Toro goal. At the other end, Gaston Silva had a great opportunity for Torino, but his volley was parried by Vid Belec. Maxi Lopez was proving to be a constant handful for the Carpi defence, and his swivelled shot went narrowly wide of the post just before half time. Carpi took the lead in fortunate fashion, when Gabriel Silva's long range shot rebounded off the post, and then hit Daniele Padelli before going in. The home side doubled their lead when Marco Borriello's excellent cross was headed home by Ryder Matos after a quick counter attack. It took only three minutes for Toro to get back into the game, as they were awarded a penalty after Maxi Lopez was upended by Igor Bubnjic. The Argentine stepped forward to take the kick himself and immediately reduced the arrears. But the Granata could not find an equaliser in the dying stages, and continue to struggle away from the Stadio Olimpico - having lost two of their last three away games.